Flying a helicopter is an exciting pastime, but wouldn’t it be even better if you were paid to do what you love? Becoming a commercial helicopter pilot can open up a whole new world of opportunities for you, giving you the chance to turn your hobby into a fulfilling career. Helicopter flight school Flying Helicopters Made Easy, located in Farmingdale, NY, provides various helicopter lessons, including a commercial pilot certificate program that will prepare you for an exciting career as a commercial helicopter pilot. Most people would jump at the chance to get paid doing what they love. Luckily for flight aficionados, the dream of getting paid to fly can come true. With a deep understanding of the complex rules of flight and, of course, the proper certifications, anybody can become a commercial helicopter pilot. Helicopter flight school Flying Helicopters Made Easy offers essential helicopter lessons taught by experienced flight instructors to help you enter the thrilling professional world of commercial flight. While flying for leisure allows you to see your local area, flying as a career offers you the opportunity to see more of the world. With a commercial pilot certificate, there’s no saying where your new career as a pilot could take you. Designed to teach you advanced navigation, radio communication, emergency procedures, and more, Flying Helicopters Made Easy’s commercial pilot certificate program will prepare you for professional flights in all areas. 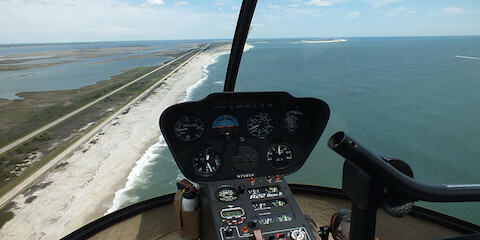 With their Long Island location, Flying Helicopters Made Easy instructors teach students how to fly in the wide-open spaces of New York as well as some of the busiest airways in the United States. With their program, you’ll be prepared for wherever your new career sends you. Transform your favorite hobby into a beloved career. With a certificate from Flying Helicopters Made Easy, you’ll be able to jump-start your career as a commercial helicopter pilot and get paid to do what you love while seeing the world from an incredible height. For more information about their flight school, call (855) 359-6969 or visit their website.